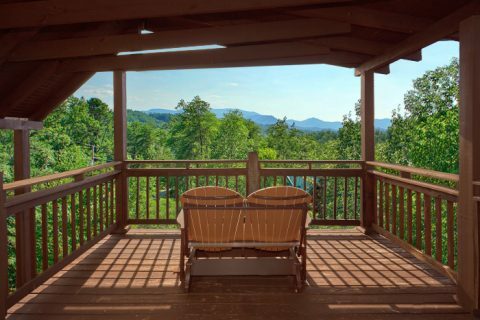 "Big Sky View, "a beautiful, 2-bedroom log cabin vacation home rental, offers vacationers the perfect lodging for a Smoky Mountain getaway. 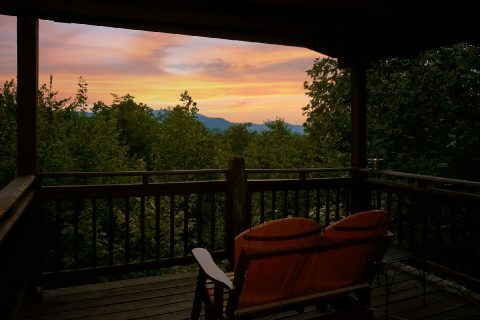 Enjoy easy access to Gatlinburg and Pigeon Forge shows, attractions, and restaurants from your cabin in Gatlinburg's Sky Harbor Resort. 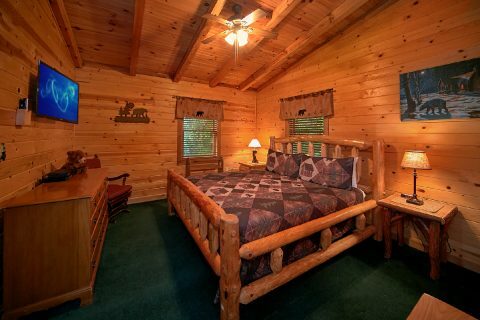 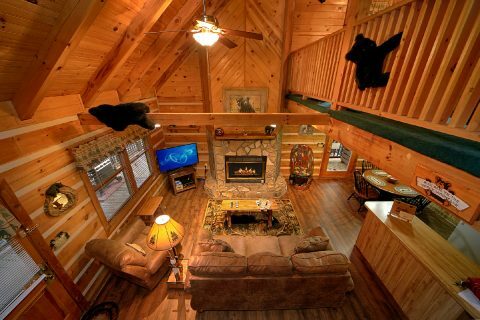 This Sky Harbor cabin rental in Gatlinburg accommodates up to 6 guests with 2 king bedrooms and a sofa bed. 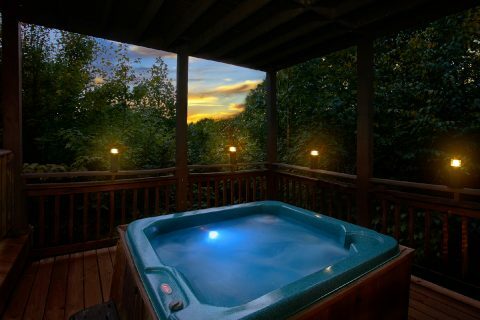 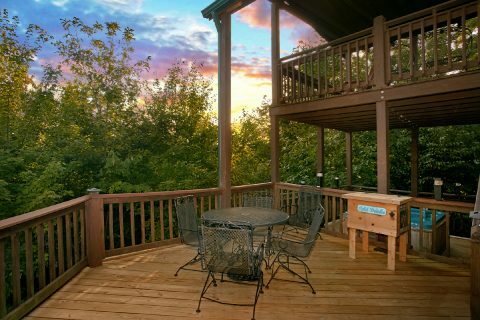 Enjoy wonderful views of the nearby Smoky Mountains from a multi-level deck that boasts a large year-round sunken hot tub and two sitting areas. 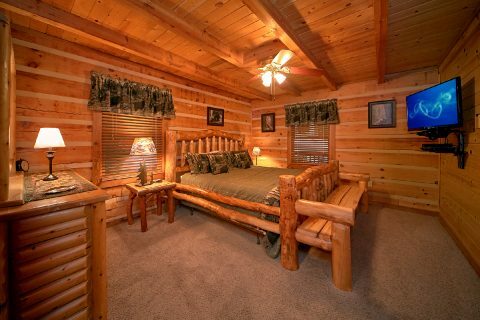 The main level's king bedroom offers a full bath with jacuzzi and personal television, while the upstairs king bedroom shares a full bath with the neighboring game area. 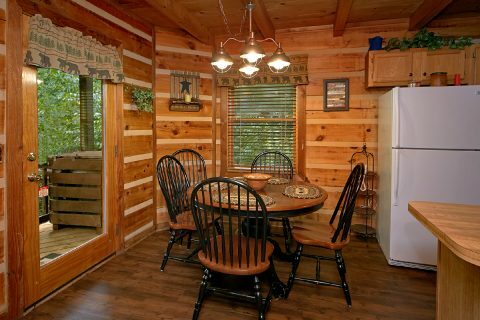 Family members can enjoy some friendly competition by playing air hockey in the game room. 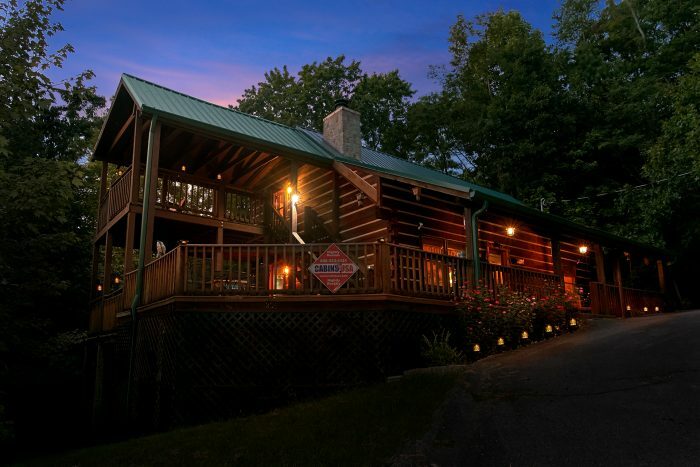 In the winter months, many families staying in Sky Harbor Resort visit the nearby ski and snowboard slopes of Ober Gatlinburg. 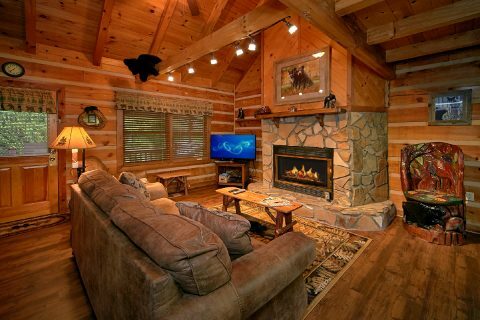 After a full day in the chilled air, return to a warm glow of this rental's fireplace to sip on hot chocolate and relax with movies on the big screen television. 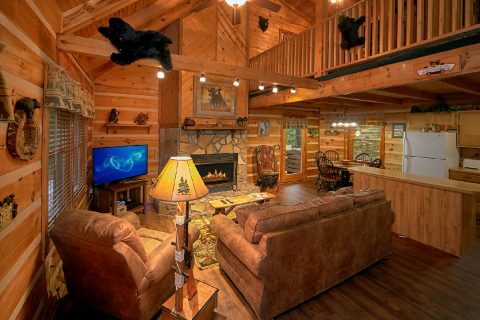 This rental gives you access to great entertainment with cable, HBO, and Showtime channels. 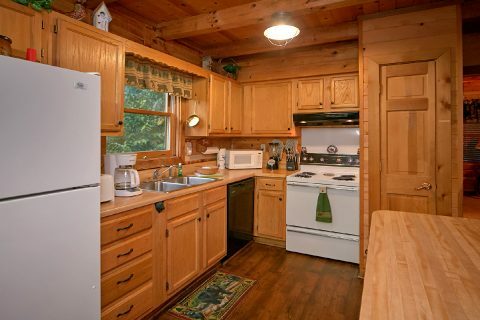 Family meals are a cinch in your vacation home's spacious kitchen with plenty of counter space or outdoors on the gas grill. 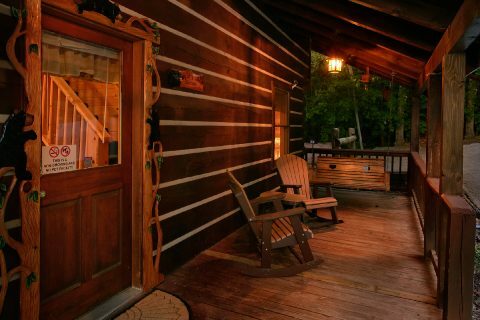 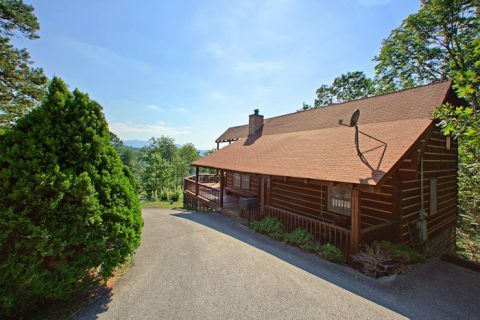 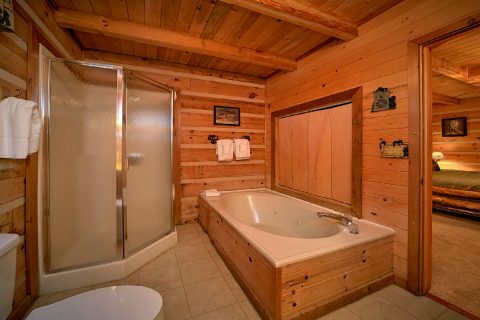 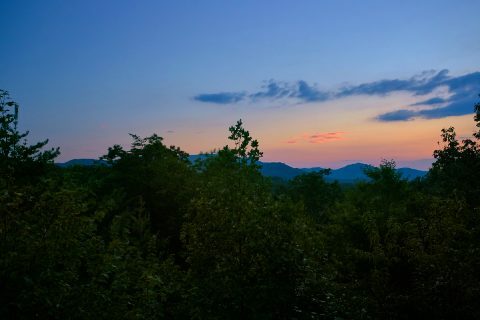 Book this wonderful vacation home rental near Gatlinburg online with Cabins USA Gatlinburg for an exciting family getaway to the Smokies and extra savings with a special cabin discount!